Ridgeview is the 50th most walkable neighborhood in Colorado Springs with 13,014 residents. Ridgeview has minimal public transportation and does not have many bike lanes. Nearby neighborhoods: Stetson Hills, Sundown, Wagon Trails, Old Farm, Wolf Ranch, Springs Ranch and Vista Grande. Almost all errands require a car in Ridgeview Colorado Springs. Ridgeview is the 50th most walkable neighborhood in Colorado Springs with a Walk Score of 20. Find apartments in Colorado Springs's most walkable neighborhoods: Downtown, Westside and Shooks Run. 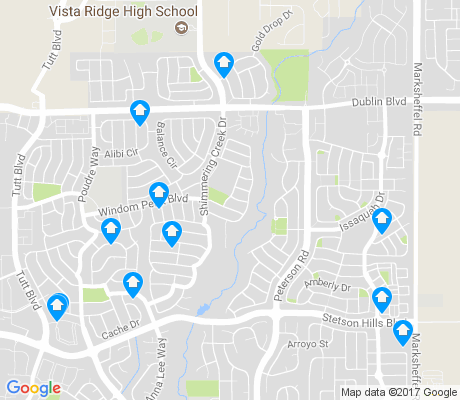 View all Ridgeview apartments on a map. Compare Ridgeview to other Colorado Springs neighborhoods. Moving to Colorado Springs from another city? There are about 35 restaurants, bars and coffee shops in Ridgeview. People in Ridgeview can walk to an average of 0.2 restaurants, bars and coffee shops in 5 minutes.